1992 Mayor Daley: "Chicago has lost two generations of young people to gangs and drugs"
It's been a great experience. And I haven't taught my last class at Oakton. There's nothing like being accountable to 25 or 50 or 75 young minds at a time to keep the mind young and fresh. The right-hand column lists my course practices and innovations. (I seldom teach a course the same way twice.) Items below describe steps I've taken to improve my teaching, evaluations of my teaching by others, and my involvement at Oakton outside of the classroom. Landmark Education My decision to take Landmark seminars came from a business owner with whom I regularly discuss my teaching. A dynamic individual, he had been empowered by Landmark courses taken many years ago. 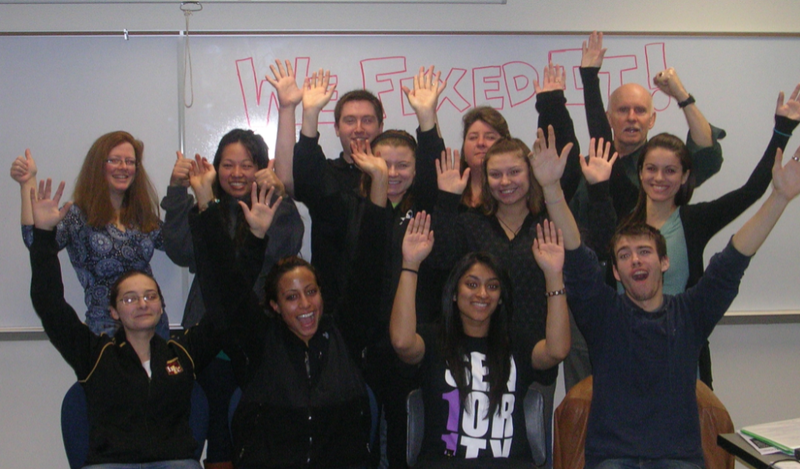 My Landmark courses have empowered me and my students in several ways. I now relate more directly with students thanks to the emphasis these courses place on developing trust in self and others. I also set higher goals for my students, placing great emphasis on what a student actually learns from a research paper as opposed to what the student merely says correctly. Finally, Landmark has had the effect of freeing me up to teach in ways that blend entertainment and intellectual challenge. My classes are more fun for me and for my students. 2009 - 2013 course evaluations by students (reviewed by the college) are available upon request, all kept in a single binder. Organize the class so that all students are on task. Avoid spending too much class time talking with a single student about his/her paper; other students are not listening. Spoke at Board Meeting on behalf of faculty at risk of losing health insurance due to changes resulting from Obamacare. First Day Questionnaire Completed by all students I teach. Waste Words Avoid the waste words that crop up in most student writing. The Eight Parts of Speech Easy to learn. Valuable to know. List of Oakton Resources for Students A comprehensive list of links to resources offered by the college. 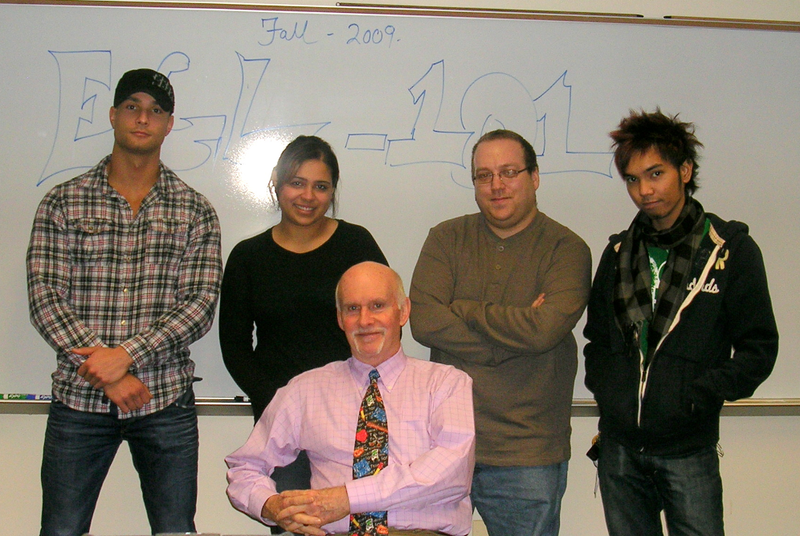 The Spring 2011 English 102 class after it balanced the federal budget in a semester-long project inspired by David Leonhart's interactive Fix the Budget exercise in the New York Times. Egl 101 Summer 2013 - "Inside/Outside"
Fix the Budget main home page. This project was based on a powerful interactive graphic by New York Times tax expert David Leonhardt that challenged and enabled readers to balance the federal budget by making their own choices for budget cuts. The College Fear Factor by Rebecca Cox inspired this project. Its about communication gaps between students and faculty at community colleges. Seven students chose write research papers based on interviews with Oakton students.